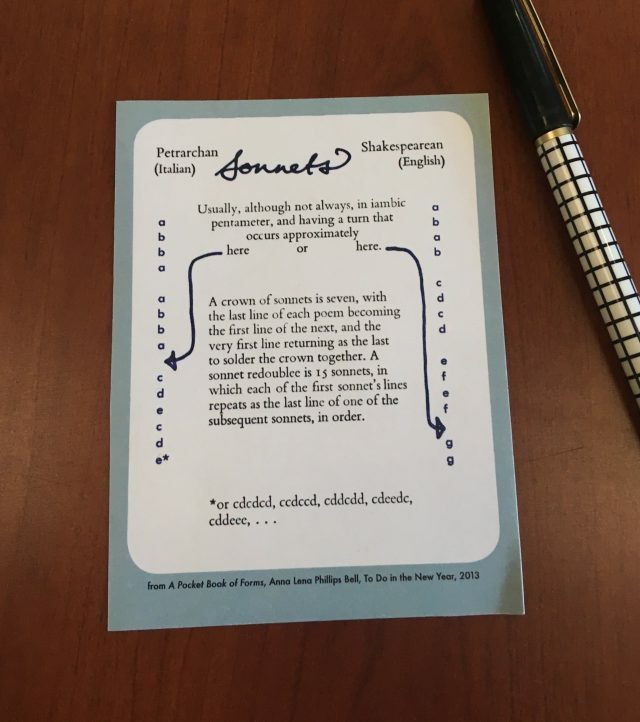 We’re having a party to celebrate these as well as Ecotone‘s latest issue and the new anthology from Lookout Books, Trespass: Ecotone Essayists Beyond the Boundaries of Place, Identity, and Feminism! 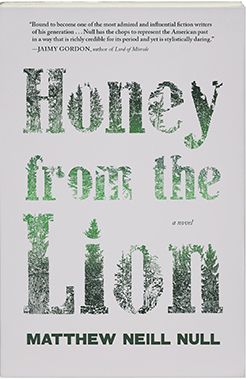 Join us on Saturday, March 30, from 6:00–7:30, at the PNCA Print Studio. Cortney and Molly will read, and Rory will host a letterpress printing demo for anyone who wants to try out printing the last run on a broadside. Door prizes will include broadsides and copies of our publications. Light refreshments will be served. Find us at the Print Studio, Pacific Northwest College of the Arts, 511 NW Broadway, Room 257 (second floor). It’s a six-minute drive or a 10-minute MAX ride from the Oregon Convention Center. 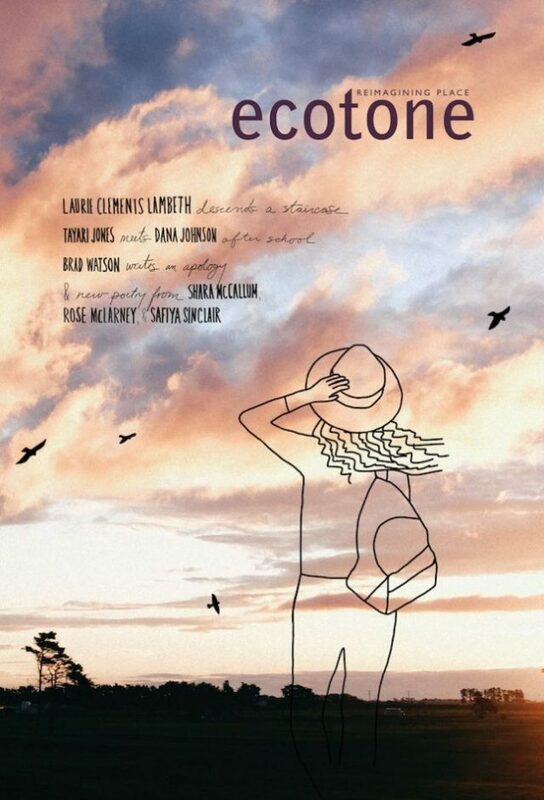 Come celebrate with Ecotone and Lookout staff and authors! Hurricane season for the Atlantic officially ended on Friday, November 30th, but the effects of Hurricanes Florence and Michael—and Matthew in 2016—on Wilmington and nearby communities are still ongoing. Over the weekend of September 14, Hurricane Florence dumped nearly three feet of rain on our town. Our home institution, the University of North Carolina Wilmington, was closed for a month, the longest it has ever been closed for a weather event. 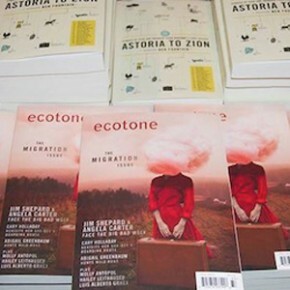 We were lucky: the extent of the damage for Ecotone and Lookout’s offices was a few leaky ceiling tiles, and many lost hours of reading, editing, and production. We’re grateful to the subscribers and submitters and contributors who supported us during that time, and who have been so patient as we’ve gotten back on our feet. We’re thrilled about the release of Trespass, the new Lookout Books anthology of essays from Ecotone, this month—and thrilled, too, about publishing our newest issue, the Body Issue. So many in North Carolina and elsewhere suffered far more serious losses—of homes and livelihoods, of access to safe drinking water and mold-free living spaces. 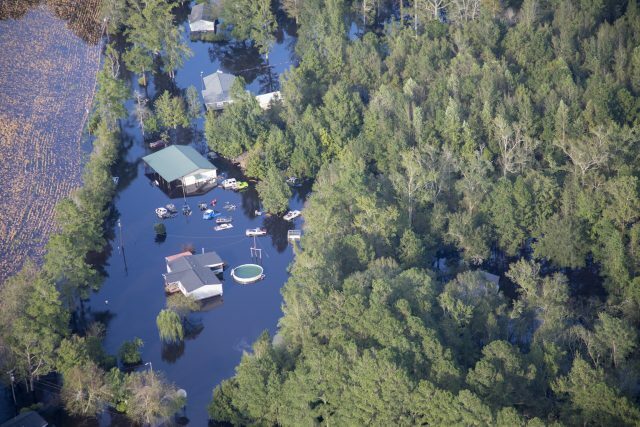 Thirty-seven people in North Carolina lost their lives to Florence. Rivers flooded to record-setting heights, and as the waters, polluted with hog waste and coal ash, receded, they left dead fish along I-40, millions of dollars of damage in their wake, and uncertainties about the health of the river and surrounding ecosystems. 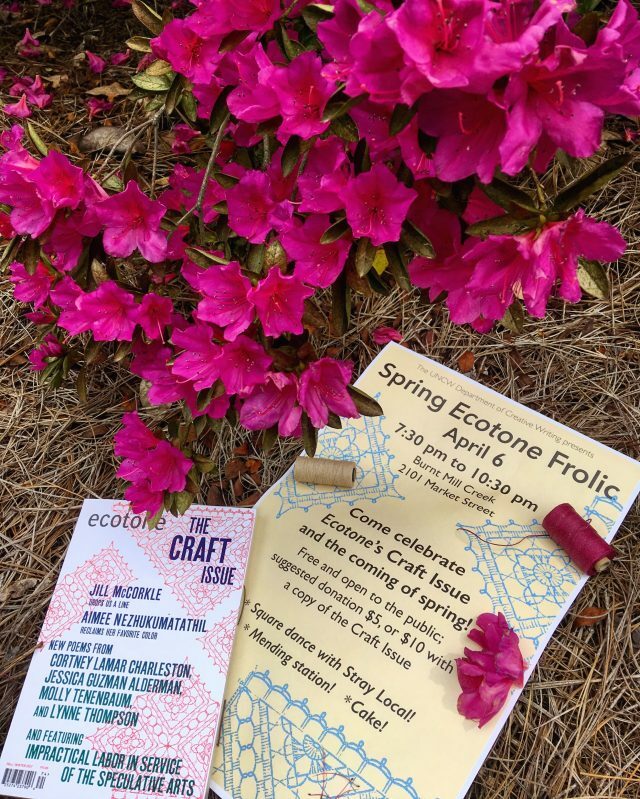 Join Ecotone Contributors at Split This Rock Poetry Festival this weekend! Ecotone heads to DC this weekend for the 2018 Split This Rock Poetry Festival! Check out our contributors presenting and reading! Will we see you there? Find us at the Social Change Book Fair on Saturday. Many good things come out of Split This Rock Festival interactions and panel discussions—we’re proud to celebrate the birth of one! Ghost Fishing: An Eco-Justice Poetry Anthology was conceived as a result of a panel Split This Rock Co-Founder Melissa Tuckey hosted on June Jordan and environmental justice poetry back in 2012. Many, many months later, this groundbreaking book is at last in print! Pushing back against colonizing ideas of nature as unpeopled wilderness, Ghost Fishing presents a rich terrain of culturally diverse perspectives on issues of environmental crisis and resistance. Grounded in social justice and the belief that all beings have the right to a healthy, safe environment and home, this culturally diverse collection engages with many of the most pressing issues of our time, while also offering hope around our shared future. Come celebrate this necessary and inspiring book and help us think about how to get it out in communities. Bring a copy and get it signed by poets and the editor! At Ecotone, we carefully consider interior layout, text treatment, and design because we want the held object to be a pleasing vehicle for the written content. 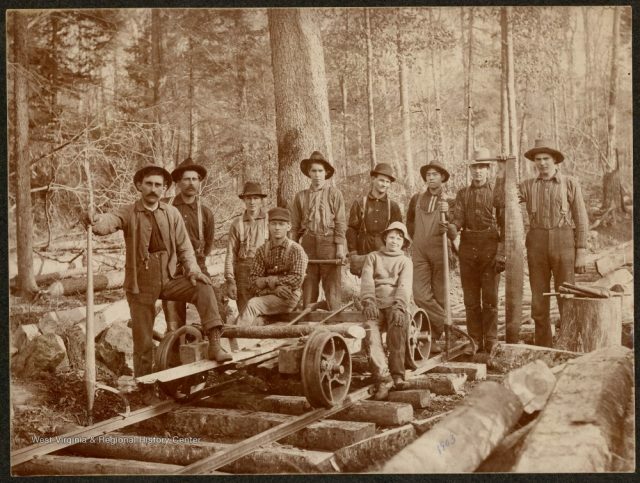 The Ecotone design team works to create an individualized design for each opening page of fiction and nonfiction. They are charged with creating a visual feel, considering images and type, to accompany and amplify the impact of the piece. In this blog department, staff designers highlight past Ecotone spread designs that inspire them, and discuss design principles they incorporate in their work. 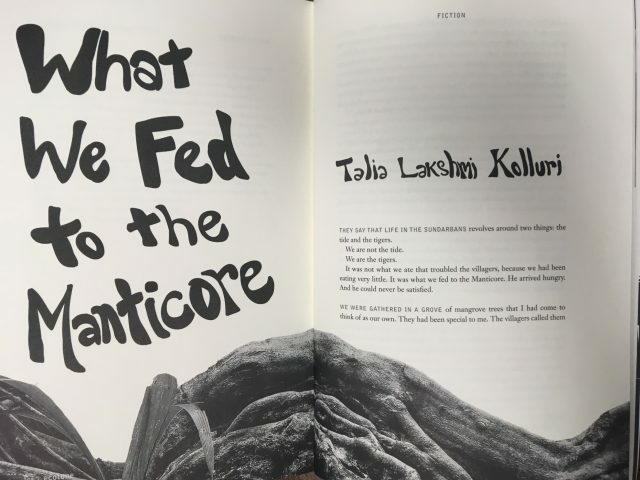 Ecotone staffer Alexis Olson considers Talia Lakshmi Kolluri’s “What We Fed to the Manticore” spread from Issue 21, designed by Morgan Davis. The blend of hand-lettering and photography really draws me to this design. “What We Fed to the Manticore” is grounded in place, much like the spread is grounded by the mangrove roots. I love how the shape of the letterforms mimic the flow of water or silt while acknowledging the playfulness of the story’s animal first-person point of view. The mangrove roots were designed by taking the original image via Flickr and using the magnetic lasso in Photoshop to eliminate the background. This isolates the creeping roots of the tree while leaving plenty of white space for the text to live in. The image, title, attribution, and text work together to communicate a fantastical tone, perfectly complementing the story. In Seven Questions, we interview writers, editors, designers, and others in publishing. Today, we interview Rachel Z. Arndt, whose essay “Wind” is forthcoming in Ecotone 25. 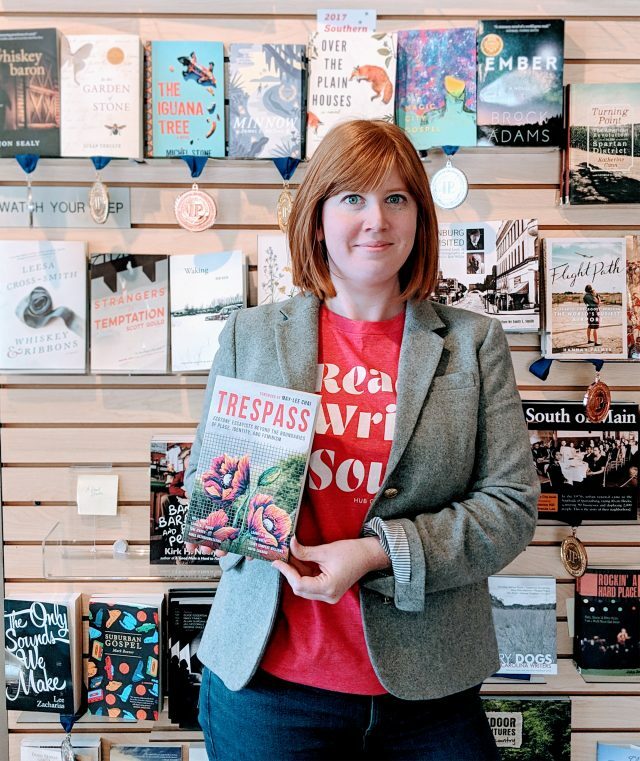 She received MFAs in nonfiction and poetry from the University of Iowa, where she was an Iowa Arts Fellow and nonfiction editor of the Iowa Review. Her writing appears in Popular Mechanics, Quartz, Pank, Fast Company, and elsewhere. She lives in Chicago. 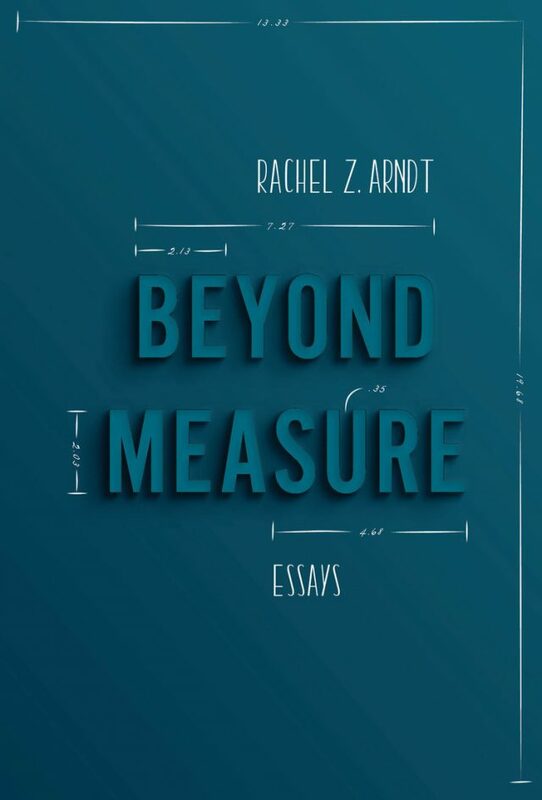 Her essay collection Beyond Measure, comes out this week from Sarabande. Your book, Beyond Measure, is an exploration of the rituals, routines, metrics, and expectations through which we attempt to quantify and ascribe value to our lives. Do you practice any rituals when it comes to your writing, and if so, what can you share with us about them? I’m militant about the pens I write with: Uni-ball Vision Exact micro (in black). The problem is these pens were discontinued years ago, which I started to realize—and deny—the last year I lived in New York. Toward the tail end of that year, after I decided to move halfway across the country for grad school, I checked my Ziploc-bagged stash, saw I was running low, and went online. I scoured office supply stores, specialty writing utensil stores, and school supply stores. No dice. So I went to eBay and ordered maybe thirty of them. As long as they got me through school, I told myself, I’d be fine. They did. I’m also pretty militant about my notebooks: blank 5-inch by 8.25-inch Moleskines. Lines distract me. Plus, I pride myself on being able to write in straight lines, a skill I’ve been perfecting since middle school math class. If the writing’s no good, at least it looks good. These are, I realize, coping mechanisms for dealing with writers’ block and crankiness and off days when everything comes out clunky and abstract. They are coping mechanisms, that is, for the loss of control that’s inherently part of writing—a loss that’s strange, given nonfiction’s adherence to hard and fast facts, but a loss that makes sense when you think of writing less as translating the world to text and more as translating one’s experience of the world to text.